Elegant design and affordable price make this money clip an ideal gift for groomsmen, corporate gifts, family and friends! The highly polished silver tone body is embellished with a sweeping arc in satin finish, leaving the perfect space for engraving a name or initials at no extra charge! The powerful hinged mechanism holds up to 15 folded bills with ease, and folds flat to be almost undetectable in your pocket! 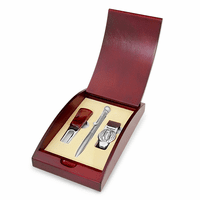 We will package the money clip in a gift box, and ship it within one business day!. 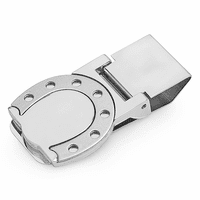 Dimensions: 2 1/4" x 1" x 1/4"
Can a saying be engraved on the back of the clip? Fourteen words? Also can the middle initial be larger to denote a surname? The back can be engraved, just enter your engraving instructions for the back in the comments section of our checkout page. We can make the center initial larger, just enter your instructions for this the same way, in the comments section of our checkout page. 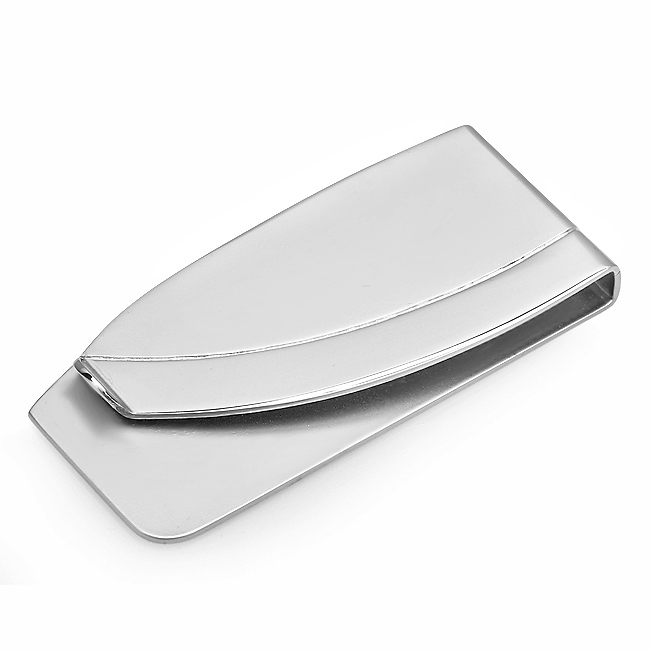 Very nice money clip, nice and light does not weight my husbands pocket down. The money clip is exactly hat I expected. Works well, looks nice and fast service. ConsI should have printed less letters to they would be larger. Bu the engraving is very nice. Just as described and received in time for Christmas when ordering at the last minute! Thank you!!! It was extremely easy to choose the items I wanted. Everything was so simple to customize and complete my order. ProsQuality, price, speedy delivery without even asking. ConsLack of fonts for the inscriptions. An exceptional value for the price, I purchased this product for my man as a "just because" gift, and it has elicited compliments. 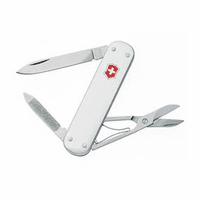 ConsThe engraving is not prominent, yet for the price, one cannot complain.